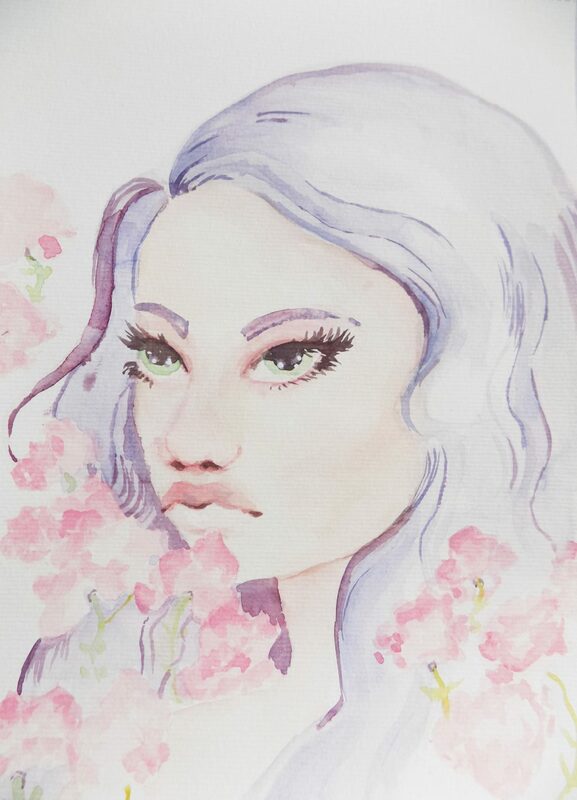 This week I made my first watercolour portrait that I actually love and I think I learned a whole lot in the process. I am sharing my top 3 secrets that made this portrait turn out better than any before it! But first a little announcement! Fridays are for art talk! I wanted to find a way to incorporate a lot more art in my blog and I was kind of struggling to do so. Instead of just being in an endless rut coming up with art topics I decided to just dedicate a whole day to talk about anything I am working on! I hope that makes you as excited as me. So first let take a look at some portraits before the one I am talking about. Trust me I have made many but most of them I wouldn’t upload online ever! Secret nr.1; Use those tissues. I knew I could use tissues with watercolour but for some reason, I just didn’t. 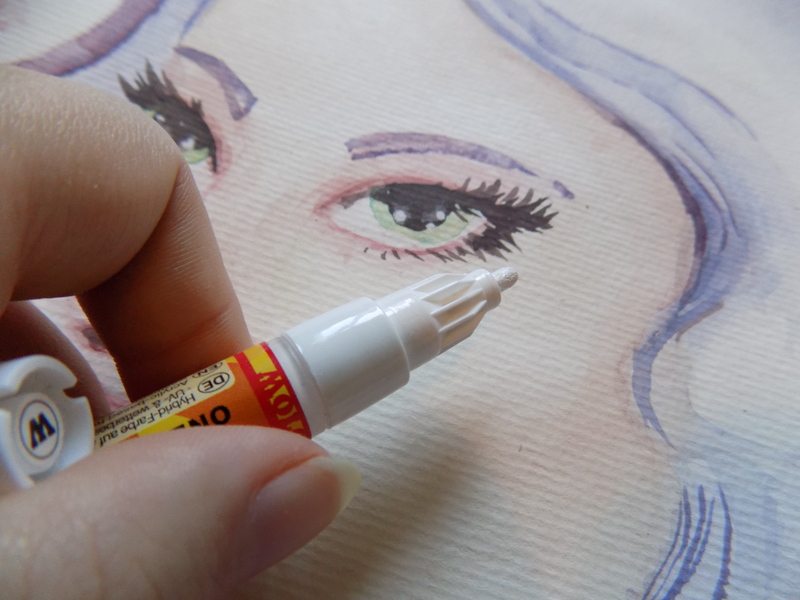 The main reason you should use tissues while painting watercolour portrait is because it can give you and even setting of pigment which will make the skin look so much better. It avoids hard lines and weird plains in the face. Really this secret alone changed my painting this time. make even washes is so much easier this way. Just mix the colour and apply it and they you take away leftover water so the pigment doesn’t set darker on those places. Secret nr.2; Lift your pigments. One of my biggest mistakes in watercolour was how I tried to fix mistakes. I tried to put over my mistakes as if I was working in acrylics. In watercolours, this can give a very messy effect and it often doesn’t solve the problem at all. And that while you watercolour most likely will just lift from the paper if you wet it again and you can brush it away. Sometimes it is the small things you do know but never use that can make a different. I think for me it was important to keep the colour light and by actually lighting my mistakes by lifting more of the pigment instead of trying to paint over them my whole piece got a much cleaner look! Secret nr.3; Highlight with the right tools. Highlights really make my work look a lot better. 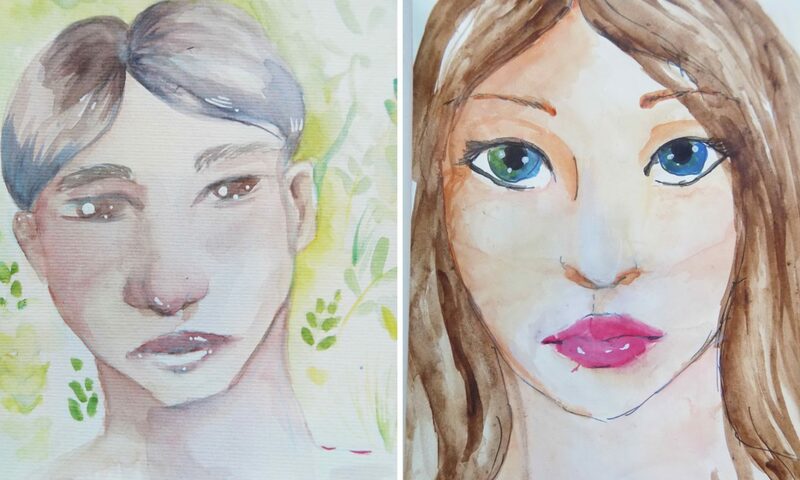 In my first few portraits, I tried to highlight using white watercolours which didn’t really do anything. I am too much of a messy painter to just leave parts white and so many changes in the process of painting. For me, I needed to be able to put in the highlight at the end. First, I tried to do so with a white gel pen. My watercolour paper, however, often had too much texture to make this work! And then my sister gave me the best solution ever; the Molotow Acrylic marker in white. I have one with a 2 mm round tip but you can work much smaller than that. Since this white is complete opaque it really makes my highlights pop and I don’t have to worry about the rough paper. So with all these tricks I created a much better portrait this time which I really like! The best thing about realising what worked is that you can use it again to create more successful paintings. That is also why I wanted to share this with you! 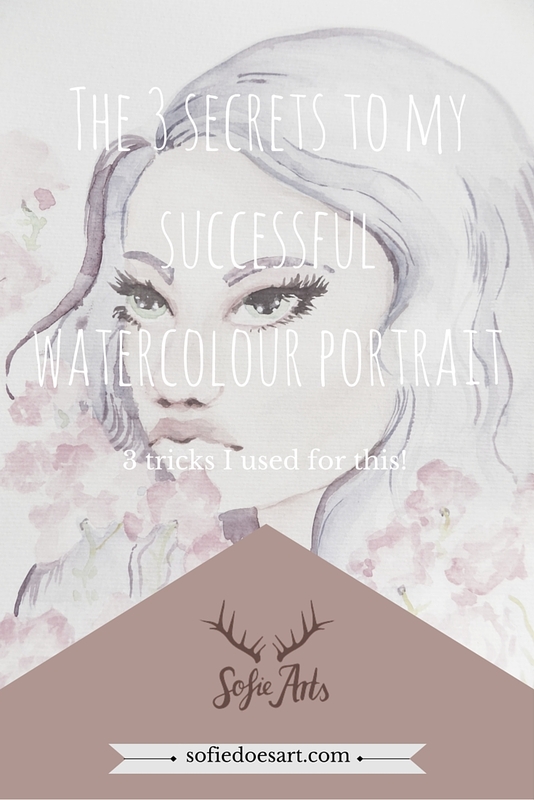 Let me know if you have tried a watercolour portrait before and what your favourite tip or trick is! Caught your post on Janice Walds pit stop so popped over to have a look and pretty amazing stuff. Hands up here, I’m so not arty in nature but I love that other people have skills I’m rubbish at and really enjoy looking in envy at their work. Hope you don’t mind but I’ve followed your blog as a result ? Hi Sofie, I will do but I’m not altogether sure if I. Following you…there is an unfamiliar icon on my followed list that’s normally green but yours is blue for some reason…can you check your insights and see if I’m on it ? Hi Gary, I think you might even been following me multiple times. I hope you don’t get many notifications now! Maybe it is because my site is self hosted? Anyway, you are definitely one the list 😀 Thank you loads! Hey Ann, Thank you so much for stopping by! I personally think that your posts would be lovely to read! Also, thank you so much for the kind kind words, I am really glad everybody likes it! I just want to talk about so many things that I felt art just didn’t make the cut, but now I have a whole day to just ramble on about it! I am glad this could bring back those memories for you! I think painting can be one of the most relaxing things to do! Thank you for stopping by as well and hosting!